Tips on how to take pictures of your vacation rental home for website listings. After you have furnished the house and everything is ready to go it's time to take pictures in preparation for posting your listing on rental websites. The easiest way to get good pictures is to use a professional photographer. In some areas Airbnb and Flipkey/TripAdvisor will provide professional photographers free of charge. Going that route can take about two weeks to get your pictures, though and your rental must be vacant of guests at the time the photographer comes for optimum picture quality. If a photographer is not available then you can easily do it yourself. 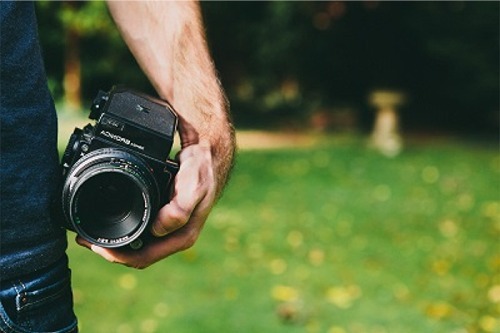 Here are a few tips for taking pictures of your short term rental. Take your pictures during the day to take full advantage of natural light. Open all of the curtains and turn all of the lights on in the entire home including hallways and closets before you start. Remove pets unless you allow the pets to be in the areas the guests will frequent. For instance, I have seen pictures of a cat on the guest’s bed. I would never rent that home because I don’t want to sleep in a bed that a cat was laying on. I appreciate the fact that the host alerted me to the fact that they allow their pets to be on the guest’s bed prior to my renting the room. Stand in a corner and take shots across the room to get the widest angles possible. Turn TVs off so they will not distract from the home. Turn ceiling fans off to reduce blur and shadows. Take lots of pictures from many angles so you can select the best photographs. Set the dining room table with a couple place settings. Make sure your pictures are honest and reflective of the actual rental so the guest gets what they see. Pictures that are not representative of the property will result in bad reviews and potentially loss of income. Edit your pictures to brighten up the photos. You can get free photo editing software from the internet. An entire home should have 30 or more pictures in the listing while a single room may have 4 of the bedroom, a couple of the bathroom and then a couple of each shared area as well as the outside of the home. Do not include pictures of areas that are off limits to the guests. Use clear, sharp pictures. Discard blurry ones. Take pictures horizontally or in landscape mode. Most of the listing websites are set up for landscape mode pictures. Make sure your pictures are at least 1024x683 pixels. If you are not sure of the size, just use big ones. If the picture is too large the listing site will then probably provide an error message with the correct dimensions. Focus on amenities that will make your home appealing to a guest. Use your very best picture for your main photo. It should be a picture that draws the guest in, looks welcoming and invites the potential guest to click on your listing. Use colors of artwork, furniture and accent items to highlight certain areas of the rooms. Exterior photos should be taken when the shadows are not falling on important areas. You may need to spread the picture taking throughout the day to obtain the best photos. Try not to take outside pictures on cloudy, overcast days as this will mute the colors of the lawn, trees and flowers that might be visible. Don’t rush the picture taking process. Take your time, take lots of pictures and select the very best ones that would be if interest to the potential guest and use them in your new listings.